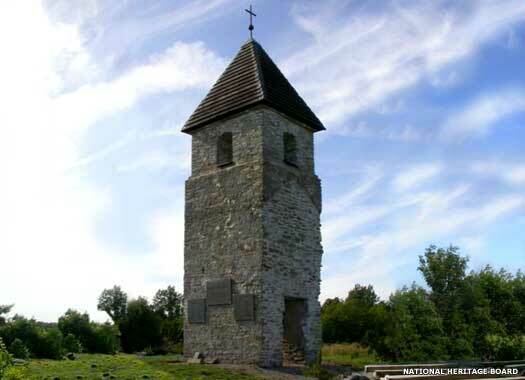 The Apostolic Church of St George the Martyr (Püha Georgi Kogudus in Estonian) is located at Pakri 2 in Paldiski, just a hundred metres or so to the south of St Nicholas' Church. Set alongside a quiet road, it is enclosed by high walls to the south and east and faces out over the industrialised harbour area. Under the direction of the Greek Orthodox Church in Constantinople, the church was constructed between 1784-1787 to a design by the architect J Moor. 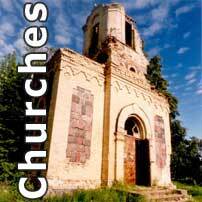 Despite the Russian control of the country, Greek Orthodox building in Estonia was not unknown. In 1892 this church was rebuilt by A Edelson in the Classical Baroque style, and laid out as a traditional Latin cross, with an elongated bell tower and apse, and plastered in white limestone. It is now a registered monument, but one that is in a poor outward condition, with most of the plaster gone. However, the roof and windows have been replaced. Paldiski Methodist Church (Metodisti Kiriku Paldiski kogudus), is at Adamsoni 9. It is one of several churches in Paldiski which meet in the homes of members - just as similar nonconformist churches started in Britain. 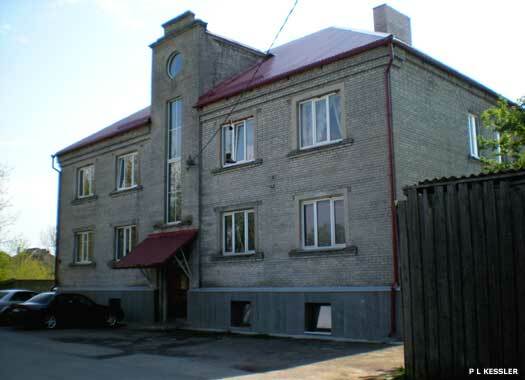 Others include Paldiski Christian Pentecostal Church (Paldiski Nelipühi kirik), Rae 40, Jehovah's Witnesses (Jehoova tunnistajad), Rae 29, and the Orthodox Church of St Panteleimon the Martyr & Healer (Püha suurmärtri Panteleimoni kirik), Muuli 4. 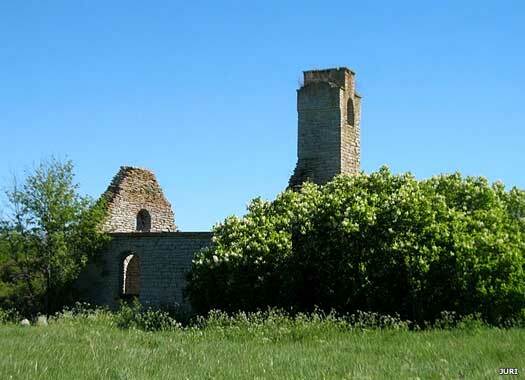 The ruins of Väike-Pakri Church (kirik) are located at Rannarootsi, on the small island of the same name which is just off the coast opposite Paldiski. The church, which has never received a dedication, was first described in detail in 1769. The size and appearance of the nave is also known from rebuilds which were carried out in 1851 and 1906. The tower's age is unknown, but it was rebuilt in 1825 and 1866, and its west door was the only entrance into the nave. Suur-Pakri Church (kirik) is on the larger of the twin Pakri islands, lying to the west of Väike-Pakri. 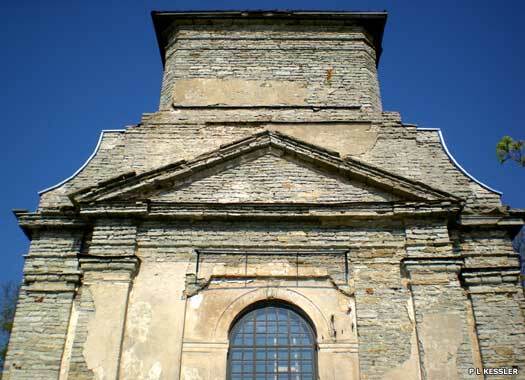 The church, which is more correctly known as a chapel, was founded in the Middle Ages, but very little of its history is known while the islands were under the dominance of Padise Monastery. 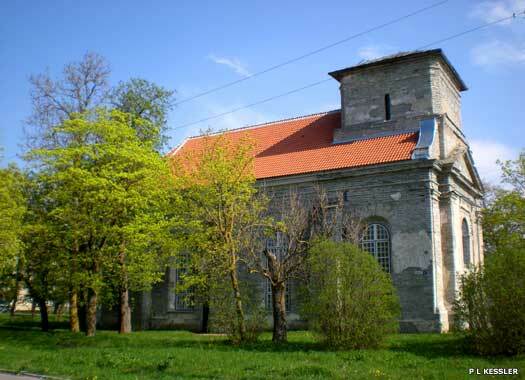 By the seventeenth century, the island's church came under the control of St Matthew's Church, Harju-Madise, but in 1870 it was united with the Church of the Holy Cross, Harju-Risti. In 1897 the church was again transferred, this time to St Michael's Church, Tallinn. The lifestyle of the inhabitants of the Pakri islands remained untouched by the Russian empire until about 1890, when the Russian Orthodox faith was introduced. Little progress was made on Väike-Pakri, but here almost half the population were converted. 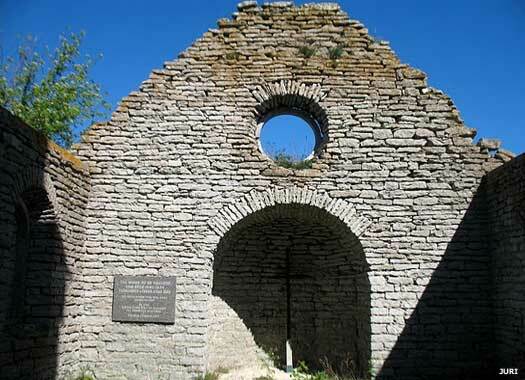 However, the chapel burned down in 1905, for reasons that were never discovered, and has remained a ruin ever since.